Like many homeowners, I'm more than a little obsessed with home makeover shows. Watching decrepit structures turn into dreamy farmhouses and sleek modern spaces gives me a major dose of dopamine. And, yes, house envy. But just like a deep Pinterest dive can kill hours of your day, it's easy to get carried away with #housegoals. Here are some expensive home-improvement pitfalls — and expert tips on how to avoid them. It's easy to reimagine your space with new furniture — or a whole new floor plan — but it's certainly more cost-effective to work with what you already have. "Things like removing clutter, creating clean lines of sight, removing furnishings that block views or light from windows and doing a thorough cleaning are all free ways to make a big difference," says interior designer Pablo Solomon. The tough thing about falling in love with home photos on Instagram, for instance, is that they typically don't come with any financial context. Unless you're a contractor, you probably have no idea how much it might cost to replicate. "Without spending some time upfront with the financial planning and budgeting of your remodel, people jump into spending money on a project and have no idea where the total costs will end up," says John Bodrozic, co-founder of digital home management platform HomeZada. 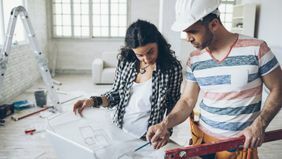 Thanks to home design shows and social media, "homeowners are much more educated and willing to assume an active role in their remodeling projects," says Gregg Cantor, President and CEO of San Diego-based Murray Lampert Design, Build, Remodel. However, this can be expensive if the DIY route backfires and you need someone to fix your work. When more technical skill and knowledge are required for projects involving foundational issues, plumbing, electrical work and so on, call in a professional. Realize your home is a work in progress that could take years, even decades, to complete. Here’s where I have trouble: No matter what improvements you make to your home, there's always going to be something better. Sites like Pinterest and Houzz showcase thousands of directions your home project can go in. They're great for brainstorming, but try not to keep scrolling once your project is underway. That way, you won’t be tempted to do any last-minute changes. 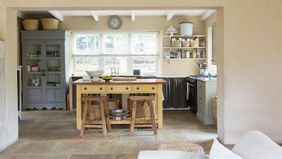 Let’s say you re-do your kitchen, and it looks amazing. Your beautiful new space might make your outdated bathroom look hideous by comparison. (Trust me; I’ve been there.) It’s tempting to want to upgrade multiple rooms in sequence once you get started. 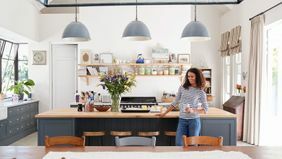 Shiplap walls and shabby chic furniture have become major recent home trends — but chances are these will be replaced within a few years with an entirely new look. Avoid customizing your home too much or putting money into pricey finishes you can't take with you. Most homeowners stay in their current houses for 10 years, while a little over half of millennials say they plan to stay in their homes for five years or fewer. When in doubt, universally appealing neutrals — white walls, for instance — are classics for a reason. 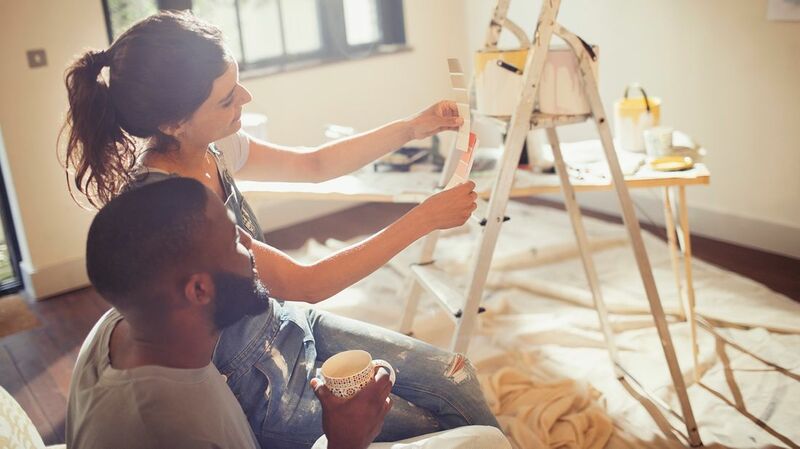 Home shows make blowing out walls and remodeling kitchens look easy but, as San Francisco-based realtor Shawn Kunkler says, these big-scale renovations are costly — and not just financially. "Managing timelines and making sure contractors are adhering to promises can be a time-consuming endeavor," he says. "For some, selling their 'for now' home to buy that 'forever' home can be the better strategy." He suggests talking to a realtor before doing any construction to understand what features are selling and what buyers are looking for in your area. That way, if you do decide to renovate, you can hopefully get a good return when you sell.